Nest 3rd Gen version has been out for a year. I bought mine about a year ago it took about 15 minutes total to install, it was very easy and they say three out of four people can DIY it themselves. I am writing this review after one year of using the device. The Nest itself was designed by Apple Engineers and its operation is very reminiscent of the old apple iPod with the click wheel.Navigating the interface is done by rotating the silver bezel and you’re going to make your selection by pressing down on the display. You can do everything you need to this way but I find it more useful to download the free app on my iPhone and my iPad, you can also go to a website for Nest and make your changes from there as well. You can do everything you need to this way but I find it more useful to download the free app on my iPhone and my iPad, you can also go to a website for Nest and make your changes from there as well. It has an ARM chip on it, meaning it’s a computer. What is so smart about Nest 3rd Gen? Well, it’s learning thermostat which means after about a week of manually setting your thermostat, it learns what you like and what you don’t like and it sets schedule based on that. If you’re not happy you can always set the schedules yourself. The learning period is not limited to the first few weeks, for example, if you change the temperatures 3-4 days in a row, it learns that and sets up the schedule accordingly. It ignores if you change the temperature just for one day tho. The easiest way to setup schedule is from the mobile app or the website. The schedule is designed to help you save energy but it’s also for convenience and comfort. The nest has several sensors, like temperature, humidity, long and short-range, as well as ambient light. The reason for the sensors is the Nest will detect if nobody is home, and it will turn it Eco Temperatures which you preset to a tolerable temp for when you’re gone. The display is crisp and 320 x320 and 24-bit color on a 1.75-inch diameter screen. It is completely visible from across the room and it will turn red for heat and blue for cool. Unfortunately, we had to replace our 40-year-old furnace so I can’t say confidently that it was just the Nest, but coupled with it, we’ve seen about $10 a month’s savings on our bill. When we were on a budget plan it dropped considerably by $30. So it’s not enough to just to install the Nest but also choose a budget plan as well. Nest saves you money in other ways too, for example, it reminds you that you need to change your air filters. This feature alone can save you 11$ to 35$ according to energy.gov. To set it up, under the Settings, you select Reminders, then Nest will ask you the last time you changed the filter. It calculates the filter replacement time based on how often the HVAC is used and how well it’s performing. For our detailed guide to How to replace your furnace air filter Click Here. Unfortunately, we had to replace our 40-year-old furnace so I can’t say confidently that it was just the Nest, but coupled with it, we’ve seen about $10 a month’s savings on our bill. When we were on a budget plan it dropped considerably by $30. So it’s not enough to just to install the Nest but also choose a budget plan as well. What comes in the Nest 3rd Gen box? This is what we got out of the box when we opened Nest third generation thermostat, other than special screwdriver everything else looks standard with other Wifi thermostats we reviewed. 4 small screws 2 long ones, wall-mounting kit, and the thermostat. It also comes with a nice sleeve with booklets about installation and extra information about the Nest with nice infographics. I recommend not to install the white large backplate, it just looks cheap when installed with it, the reflective shiny design of Nest will match any wall color anyway so there absolutely no need to install that piece of plastic. There are many other features built-in, like running the house fan with Airwave to save on using your AC in the summer, cool the dry uses your AC to reduce humidity, or you can run the fan daily to spread heat and air throughout the house. Airwave saved me money during summer by turning off the AC before the temperature reaches my desired setting and keeps running the fan until the cold air circulates the entire house. It’s like this when your AC is running the air around your AC unit gets colder faster because it’s closer to the AC if you turn off the AC and keep the fan on, the air gets pushed around the house until it reaches everywhere in the house. After a while, Nest learns how much earlier it has to turn off AC and how long it has kept the fan on until the house cool and comfortable. This is a very cool trick to save money even if you don’t own Nest but I doubt I would bother to do it without Nest. Leafs is another Every month I do get an email telling me how many hours I used the device compare to the previous month, where I rank with the other users in my area and how many Leafs I earned. Leafs are generated by setting your thermostat to an energy-saving setting. It’s like a guide to help you save money. My wife and kids think it’s a race/game between our neighbors and us. The Leaf is different for each home. Now for us, it’s about 62 degrees for heat which is cold and 75 degrees for AC which is warm. You can also earn Leafs when you’re away and nobody is home. It also takes guesses why the energy spending the way it was, based on the outside temperatures, hours used, how often you were away. It’s great to try to improve your energy rating because you will know how to save money. Early-on : After Nest learns when you wake up every day, it sets up a schedule to warm the house until you wake up. It also does the same thing when you come back home. Sunblock: It detects if the thermostat is under direct sunlight and adjusts the temperature accordingly. Time to Temp: Learns how long it will take reach to target temperature. It gives you this information if requested. Weather Aware: Nest monitors the weather and weather forecast so it can figure out it effects on energy consumption. Nest Sense: It automatically balances between comfort and energy savings. Activity Sensors: Using it 150-degree sensors, it detects activity at home and set Eco Temperatures accordingly. Temperature Sensors: Using three different sensors Nest monitors temperature and temp changes nonstop. Energy History: This feature tells you your energy consumption in detail, explain how much you saved and how did you do it. This also comes with ways to lower your electric bill. Auto-Schedule: After learning your habits, Nest automatically adjusts your schedule. This way Nest adapts to your ever-changing habits. Auto-Tune: It helps you sing like a famous rapper or Cher. I am joking off course. I don’t know why they picked this name for this feature, it’s clearly a mistake. What it really does is, Nest adjust the temperature according to outside temperature. This also comes with Rush Hour Rewards and Seasonal Saving. Recently other companies have teamed up to work with the Nest. There are thousands of brands that are compatible with Nest, too many to mention in this short space. Here are some of them. Kwikset kevo door lock: The smart lock is activated when a user is coming home. It detects which user it is and it’s going to set the Nest to their desired temperature. Google: With the integration between Google Now service and Nest you can give voice commands to Nest. Whirlpool: Nest communicates energy consumption to your washer/dryer and it delays the start of the device until there is less consumption. Logitech: You can use your Logitech Harmony remote control to adjust the temperature. Chamberlain: If you own a Chamberlain garage opener, Nest detect when you come home or leaving the house, and it adjusts the temperature accordingly. Jawbone: If you own a UP24 Activity Tracker, it will detect when you wake and set the temp to your desired presets. LIFX: If Nest Protect detects smoke inside, LIFX lambs will turn red. Furthermore, when you are on vacation and Nest is on Eco Temperatures mode, LIFX turns the light on and off for security. Mercedes-Benz: You can control your Nest from your cars computer screen. The Nest has a great design, the reflective cover matches your wall nicely. No wonder Google decided to hire Nest design team for other projects as well. You can always choose one of the colors above but my favorite is the original one. It matches with every wall. When it first came out it was revolutionary, and still, there are no other thermostats in the market with the reflective cover they got. Nest also sells other products like the Nest Protect which is a smoke carbon monoxide detector and it also now works with the Dropcam. It will notify you of movement when your thermostat is on Eco Mode. The Nest will pay for itself in a little over two years with our current situation if we don’t change anything. Even if It didn’t have the ability to link to other mobile devices, controlling my thermostat on the go from virtually anywhere makes it totally worth it for my home automation needs. The design is sleek and it definitely gets attention and when guests come over, they always comment about it. It’s easy to install and use, especially with the app or from the computer. The build quality is very durable and I haven’t had any problems in the year that I’ve owned it. I highly recommend it, if you’re looking for a smart thermostat. The design is sleek and it definitely gets attention and when guests come over, they always comment about it. It’s easy to install and use, especially with the app or from the computer. The build quality is very durable and I haven’t had any problems in the year that I’ve owned it. 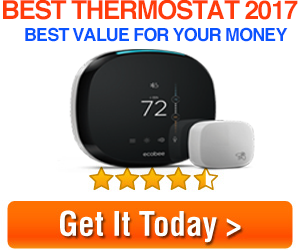 I highly recommend it, if you’re looking for a smart thermostat. I think the nest is a great product specifically because I am much more interactive with it compare to the old traditional thermostats that turn on and shut off at your desired temp. Setting up schedules definitely increased my savings, I can set up different schedules for workdays or weekends. My ability to control Nest from virtually anywhere in the world is great as well I like turning it off or on from work. The design is sleek and it definitely gets attention and when guests come over, they always comment about it. It’s easy to install and use, especially with the app or from the computer. The build quality is very durable and I haven’t had any problems in the year that I’ve owned it. I highly recommend it, if you’re looking for a smart thermostat. If your Auto-Away is not working. Well, this is a very common problem with Nest. Their forums had tons of people complaining about it but the post is deleted now. Nest official answer to this problem was to reset Auto-Away. You simply reset Auto-Away by selecting “Settings” then “Reset” and finally “Auto-Away”. My solution is If the problem persists you can always download a third party app to solve the problem. There are apps to solve this same problem like skylark for iOS , or “Coming Home” for Android. We have no relation with these apps. We recently published a review of the Skylark IOS app for Nest. Click here for full review. On October 17, 2016, Nest killed Auto-Away read the post here.